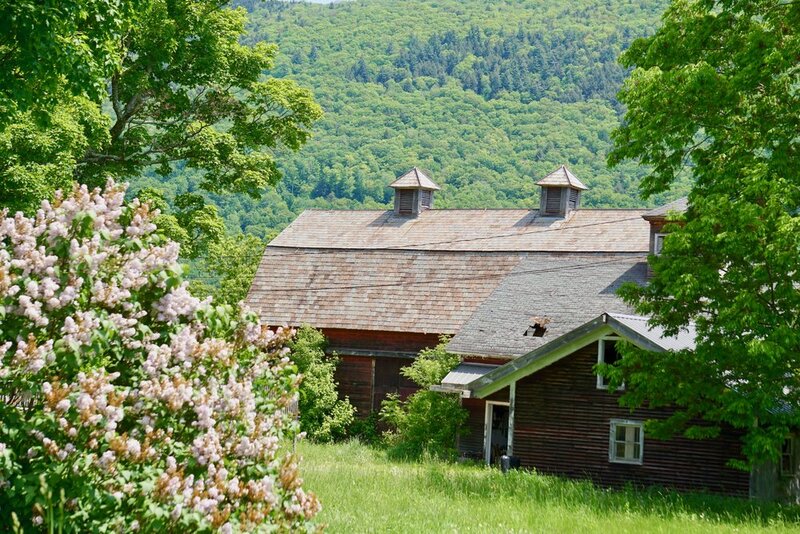 I could write love letters to Vermont all day long. Spring has slowly turned to summer and it's really beginning to turn green around here. I'm sure some of you look at this photo and think "Beginning??". Yes, it's true, we are not yet at our full BIG summer green. We are at the stage where it begins to get ready to look like a rain forest. We need a few more rainy and sunny days to turn it to a lush you need to see to believe. Today I needed to go to the "big city" of Rutland to grab some supplies I needed for finishing up some paquets and I decided to take the "back way". The funny part is that they had a detour set up and I ended up on the back way of the back way...way back in the dirt roads and farmland. It was AWESOME. Gorgeous, gorgeous, gorgeous. At one point I got stuck in a traffic jam.... a pick up truck with a big trailer dropping off horses in the middle of the road and guiding them into a pasture. Horses everywhere blocking my way. That is my kind of traffic jam! I pulled one of these paquets for myself. I am headed to the Alps in a few weeks and this will be the PERFECT project for my trip!